The bodies shown below are assembled for visual reference only. 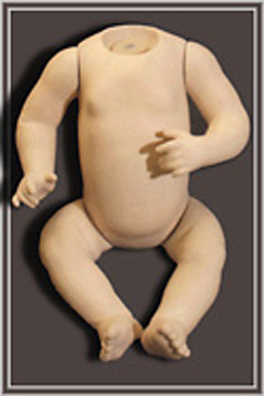 To order trunk, arms, legs, etc. 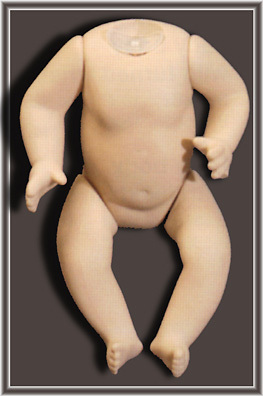 or to find a doll head that fits a particular body, enter the Byron body mold number including the dash (ex. B-477, B-465 etc.) in the box marked "product search" at left and hit "go". 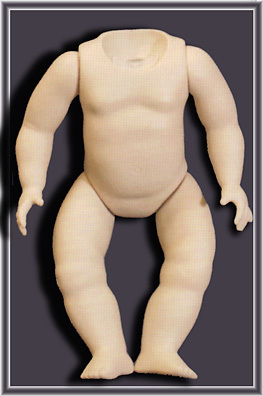 Important Note: Doll Bodies marked with an asterisk (*), such as B-364*, cannot be ordered from our web site yet. 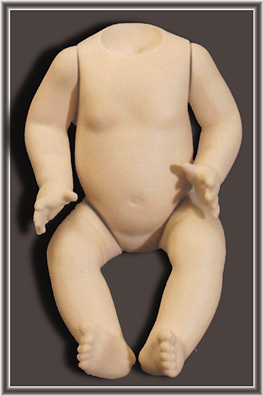 Until we are able to add these body molds to our web site they must be ordered from us by phone or fax. 1/8" full (13 ga) elastic. 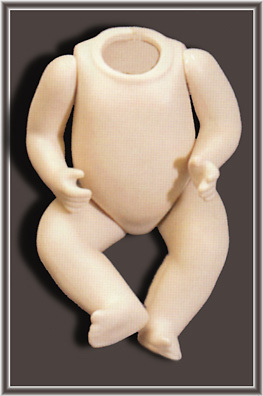 Body only available for "Little Big John"
1/8" scant (15 ga) elastic. 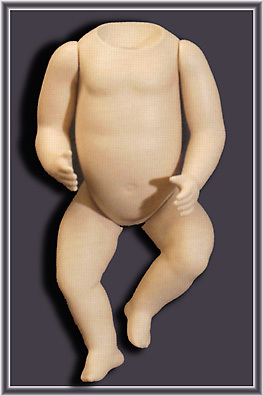 Body only available for "Jill, Judy & Jamie"